SOLVING PROBLEMS, SO YOU DON'T HAVE TO. Malcom Company designs, distributes and manufactures specialty tools and power supplied that solve problems. For over 20 years Malcom Company has been collaborating with customers and expert partners, bridging the gap between ideas and technical solutions delivering products that our customers want and need. Malcom works with commercial and military customers across a full-spectrum of aerospace, energy and telecommunications challenges. 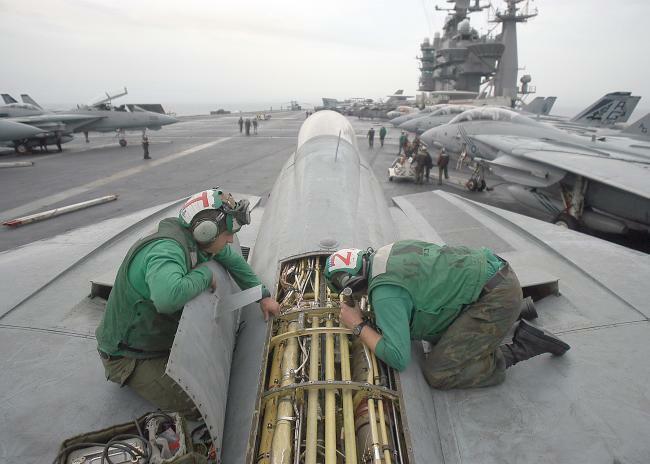 We are proud to provide US Armed Services and friendly nations with high-quality tools to keep equipment running safely and as the manufacturer intended -- even in extreme environments. We are proud to have served clients such as Boeing, DERCO Aerospace, Lockheed Martin, NASA, Northrup Grumman, as well as the U.S. State Department, DoD, Air Force, Army, Coast Guard, Marines, National Guard and Navy. We are a small third-generation family business located in the U.S. one hour south of Boston in the beautiful coastal town of Portsmouth, Rhode Island. We are just six miles from Newport, RI, home of Naval Station Newport and the US Naval War College. Through the decades and generations, our unique product mix has included DC powered heat guns, soldering irons, hot melt tools and DC power supplies. Applications include soldering, heat shrinking, curing, drying, plastic welding, hot bonding, de-icing and pre-heating in addition to 12V, 24V and 48V DC-Power Supplies. Call for quotes and more technical information, or send an online request. We look forward to discussing your engineering challenge.